Support Addenbrooke's Charitable Trust An engraved bamboo caddy with stand containing a selection of our most popular teas. 30% of the product price goes directly to Addenbrooke's Charitable Trust. See below for full details. 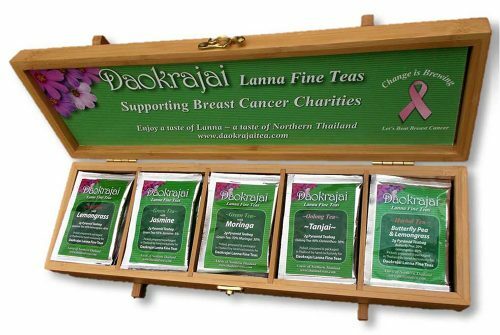 Support the Pink Ribbon Foundation An engraved bamboo caddy with stand containing a selection of our most popular teas. 30% of the product price goes directly to Pink Ribbon. See below for full details. 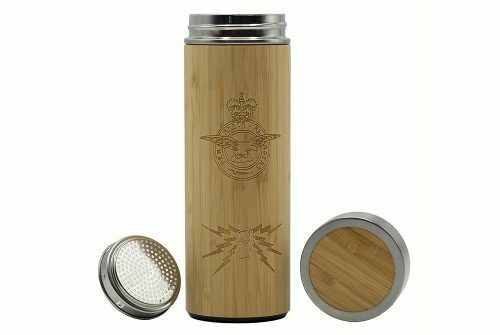 Support Addenbrooke's Charitable Trust Stainless Steel Vacuum Flask etched with Royal Air Force crest and our Fist and Sparks emblem £2.88 goes to Addenbrooke's Charitable Trust. See below for full details. 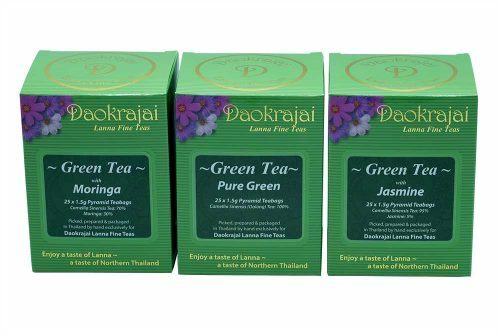 Our popular green tea assortment. 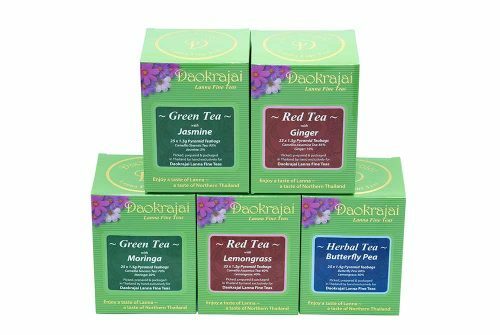 25 x 1.5g teabags of each of the following: Green Tea with Jasmine Green Tea with Moringa Pure Green Tea Your purchase results in a donation of £7.17 to ACT4Addenbrookes, and £2.39 to the Queen Sirikit Breast Cancer Foundation, Bangkok. 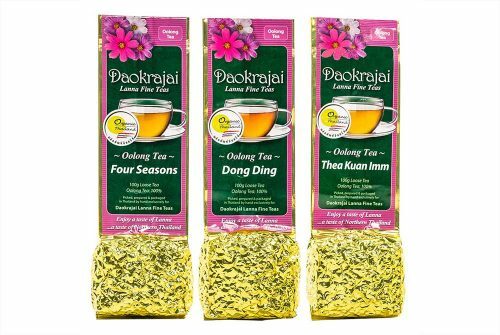 Not Rooibos - a herb, our Loose Red Tea is camellia Assamica, grown in Lanna, Northern Thailand. 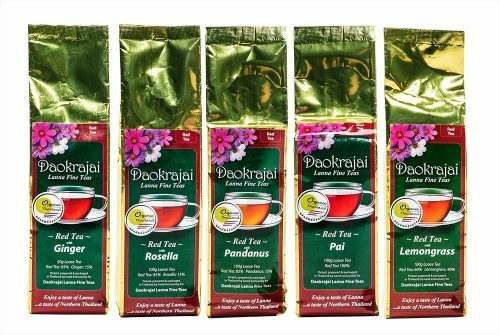 A selection of our most popular: Red Tea - Pai Red Tea with Lemongrass Red Tea with Ginger Red Tea with Pandanus Red Tea with Rosella Each sale results in a £4.96 donation to Addenbrookes Charitable Trust, and £1.65 donated to the Queen Sirikit Breast Cancer Foundation, Bangkok.